Enjoying "Balkan II" blend from Tobacco Exchange, New Orleans, in my Barling's Make, S-M, with a can of Seagram's Ginger Ale. The current Three Nuns tinned version in a 2003 medium bend straight grain Viggo Nielsen sitter with a Cumberland-like stem. Montecristo #2. Yes, I need a cigar on this beautiful day!! JKP in a Dunhill Liverpool. 3 Oaks Syrian in a Peterson Rosslare 80S. Blue Note in a MM cob for the commute. Magnum Opus in a black pebble finish straight 2003 Cavicchi C. Fatto A Mano nose warmer. Penzance in a James Barber canadian. P&W Churchill in my Mastro Cherrywood. House of Calabash Wild Rose is my no name meerschaum billiard. 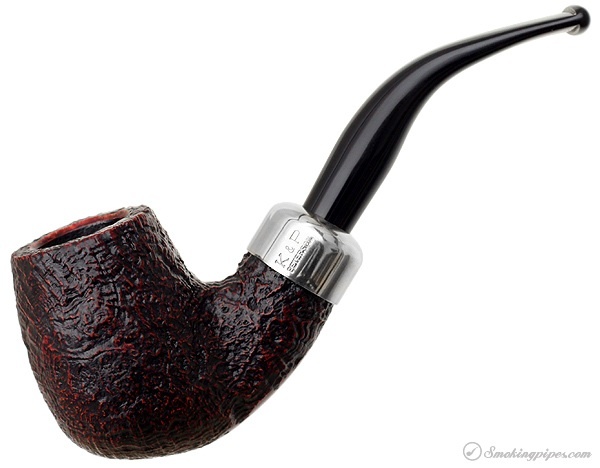 Just finished one of those magical smokes, the tobacco and pipe combo were made for each other. SG Medium Virginia in a Peterson Kildare XL90. Year 2002 Squadron Leader in a 1975 smooth slight bend Tinderbox Aalborg freehand made by Nording. The last of this sample of Essence of Vermont in a smooth straight late 1970s Tinderbox Selected Grecian Briar Dublin.